The Formentera Council's language consultancy department will once again offer Catalan language courses for adults. All those interested can register from February 28 to March 9 at the Citizen Information Office (OAC, at carrer Ramon Llull, 6). Classes begin March 12 and will continue until May, coinciding with the official exams coordinated by the directorate general of language policies. 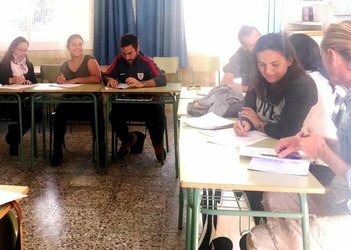 The latest round of Catalan language instruction picks up where a similar course from October 2017-January 2018 left off. Council officials say the classes reflect the administration's goal of facilitating and promoting language study on the island. Efforts are made —scheduling lessons across a variety of days and hours, for example— to make it easier for students juggling employment or parenting as well. 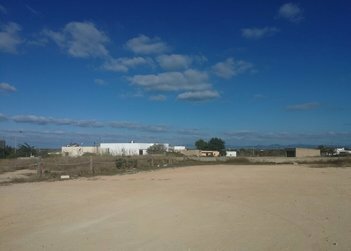 Earlier today a government committee of the Formentera Council rubber-stamped a permit for construction of the Sant Ferran primary school and early-learning centre. The buildings will go up on a lot handed over by the administration in 2012. Council president Jaume Ferrer expressed his satisfaction at having held up the administration's end of the bargain and “done everything possible to make the new schools a reality”. Noting that the government in Palma has already set aside funding for the project, Ferrer quipped the Council was “confident construction will begin soon” and called the project one of the Council's top priorities this legislative session. In plenary session on September 29, the Council voted to change municipal regulations after the high court of the Balearic Islands ruled the demarcation of Formentera's historical town centres lacked the necessary justification and that protocol had not been properly followed in the process. By adjusting the regulatory code, the moratorium on construction inside historic centres was lifted, allowing permits to be issued on projects like the new schools in Sant Ferran. 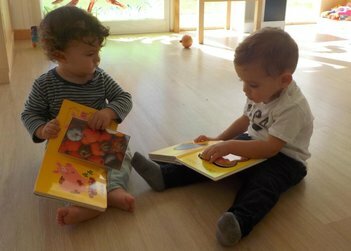 The education department of the Formentera Council has reported that the list of zero- to one-year-olds waiting to enter the island's two nursery schools, or escoletes, consists of just two names. The current number of children on the waiting lists for one- and two-year-olds and two- and three-year-olds? Zero. 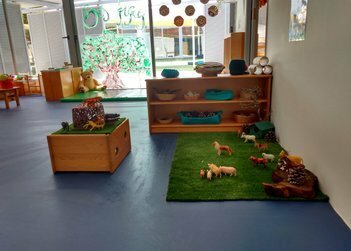 So said Formentera's education secretary, Susana Labrador, who also assured that “the completion of Sant Ferran's new escoleta will mean that not a single child” goes without the service. In Labrador's words, the Council's objective is “zero wait list,” though she pointed out that enrolment stays open through the year, and the schools are able to quickly fill spots left empty at any point. At the moment, space is available for one- and two-year-olds and two- and three-year-olds and recently, late registration was requested for five newborns. September 18 marked the start of the nursery school calendar. One hundred six children are enrolled across the island's two escoletes; 79 in sa Miranda and 27 at Escoleta des Camí Vell. The education and culture offices of the Formentera Council wish to announce plans to mount a punt de lectura, or “reading corner,” in a storefront it has rented at 13 carrer Mallorca in Sant Ferran. Till recently, the town's library was housed in the same building as the public school, however, the school's burgeoning needs forced the library's closure as the school year started. The street-level space measures 61.14m2 and is currently being outfitted to accommodate the reading corner by November. Education and culture secretary Susana Labrador pointed out that “while the previous building was exclusively a children's library, the new centre will be open to teens and adults, too”. The new library will offer internet and feature a small permanent collection and several rotating selections culled from the Marià Villangómez library in Sant Francesc.